I hereby give permission for the above-named student to participate in dance and/or music class(es) and performances at or on behalf of Angela Floyd School for the Dancer, LLC and Angela Floyd School for Dance and Music, LLC hereinafter referred to as Angela Floyd Schools and acknowledge these classes involve physical, athletic and recreational activities of which I represent and warrant that the above-named student is physically and mentally capable of participating. In case of a medical emergency, I authorize Angela Floyd Schools on my behalf and at my account to contact "911" and take such measures and arrange for such medical and hospital treatment as needed for the health and well-being of the above-named student without the need for further consent or permission. For matters not involving a medical emergency, I understand that Angela Floyd Schools will attempt to notify the parents and/or emergency contacts listed on the above-named student's registration form. 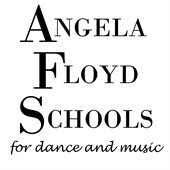 I, individually and on behalf of the above-named student acknowledge that the student will be participating in dance and/or music class(es) and/or performances at or through Angela Floyd Schools at his/her own risk. I fully understand and agree that by participating in the aforementioned dance and/or music class(es) or performances it is possible the student may suffer an accident or other physical injury. Accordingly, I, on my own behalf and on behalf of the above-named student, do hereby specifically and expressly release, discharge, hold harmless and agree to indemnify Angela Floyd Schools, its owners, directors, officers, employees, agents, assigns, and all volunteer personnel from any and all liability, damage, injury or illness, including all acts of active or passive negligence, to the student or his/her personal property during his/her participation in activities at or through Angela Floyd Schools. I, on my own behalf and behalf of the above-named student, further agree to indemnify and hold harmless Angela Floyd Schools for any claims brought by the student as a result of injuries sustained or damages sustained while engaging in activities at or through Angela Floyd Schools. Enrollment for all classes is by pre-registration. Students will be accepted on a space available basis. Class size is limited. Preschool enrollment will be closed to new students on November 20 and all classes will be closed to new students on February 20. Any scheduling changes are done by the studio office. A registration form is completed by each Angela Floyd Schools student. A $30.00 registration fee is charged each year and is due upon registration. For the Performing Arts Program, the registration fee also includes a supply fee and is $125.00 each year upon registration. We hope each student will complete the year, but if a student should discontinue classes a 30 day notice is required. A Withdrawal Form must be filled out in the office by the 5th of the month to stop the next month's payment. Any withdrawal forms completed after the 5th will be considered dated as to the first of the next month. Phone calls and verbal notice are not acceptable. Music FunTime classes require at least a 2 month commitment. The Angela Floyd Schools reserves the right to dismiss and/or terminate any student who displays disrespectful or inappropriate language or behavior within the school or while representing Angela Floyd Schools in off-site events. There are no refunds on tuition for any reason. Please do not register unless you plan to attend class regularly. Tuition is due the first of each month and will be paid via Auto Debit from a Visa, MasterCard, Discover or checking account. A $30 fee will be charged for insufficient checking accounts or for declined or invalid credit cards. If any account is declined for 3 consecutive months, the sutdent will automatically be withdrawn from the school. If any account has an outstanding balance after 60 days, the student will automatically be withdrawn from the school. Tuition may be paid in full for the entire dance season (August-May) if one wishes not to pay via Auto Debit. If any account has an account balance after 60 days from the date tuition is due, in addition to the outstanding balance, the student and/or parent(s) shall also be responsible for paying pre-judgment and post-judgment interest at the rate of 10% per annum, and any and all costs of collection, including, but not limited to, reasonable attorneys' fees. All dancers who miss a class may schedule a make up within 30 days of the missed class. All make up classes need to be scheduled in the studio office. No makeup classes will be available in April and May due to rehearsals for Spring Concert during class time. All music students will receive an emailed lesson plan for missed lessons as long as the office is notified of the missed class prior to your scheduled day and time. This policy ensures that musicians continue to get the best, consistent, and continuing practice as possible with interruption. If the teacher is absent and we cannot provide a substitute, we will provide an in studio make-up lesson. If the Knox County Schools are closed due to snow, there will be no morning classes. If the roads are clear by 2:00 p.m., please check the website or call the studio to verify classes will go on as scheduled. We will try to notify everyone of weather related closing by email, website, and/or voice broadcast. If you are unsure, please check the website or call before coming to the studio. We cannot call every student about weather related closings. If the school must cancel class due to extreme weather or events beyond our control, the missed class can be made-up. The studio will observe the Knox county Schools' schedule for Labor Day, Thanksgiving, Christmas Break and Spring Break. The studio will be open for all Knox County in-service holidays. It is out belief that students are more productive when not being observed. Teachers need the student's full attention without interruption or distraction to teach effectively. For this reason, parents, friends, and family members are asked to observe classes on the designated "Parents' Week." Parents may also watch class on the monitor located in the lobby. Teacher and staff are carefully screened and monitored by management. Angela Floyd Schools is not responsible for providing before or after class care for students. Students are not to be left at the school for excessive time before or after lessons. Angela Floyd Schools or its representatives cannot transport or assume primary care responsibilities for a student at any time. Student and Parent agrees that the Angela Floyd Schools may take photographs and may make videos and audio material of student, classes and school events, and that these materials may be used for display, promotions and/or advertising. The Student and Parent hereby waive any compensation to which Student may otherwise be entitled for appearing in such materials. There will be an annual spring concert at the end of the studio season. Costume charges will be payable in equal installments due September 1, October 1 and November 1. Cost is determined by the student's age as of the January 1st prior to the Spring Concert in May. The total cost for a student age 8 and under is $81.00 per costume. The total cost for a student age 9 and up is $96.00 per costume. All Ballet/Tap Combo classes, with the exception of Preschool Ballet/Tap, will require two costumes. Those students enrolling after August 20th will be charged a third of each costume upon registration. Those students enrolling after September 20th will be charged two thirds of each costume upon registration. Those students enrolling after October 20, but before November 20, will be required to make the costume payment in full upon registration. Those students wishing to register after November 20 will not be guaranteed a costume for the Spring Concert, though we will try our best to order one for you. If you do not wish to participate in Spring Concert, and therefore do not want to be charged for a costume, please fill out the Forgoing Spring Concert Form in the office. Anyone withdrawing from the program before November 20 will receive a refund on costume payments. Costume refunds will be mailed in December. After November 20, no costume refunds will be given. Costumes will not be released to anyone with an outstanding tuition balance. Solid black leotard, pink tights, pink ballet slippers and tan tap shoes. Leotards with attached ballet skirts are not acceptable. We provide tutus for our dancers. Hair must be secured neatly in a ballet bun, or pinned off the neck with a hair barrette. Ballet slippers must have elastic sewn over the instep. No ribbons or bows on tap shoes. Black leotard, pink tights, and pink ballet slippers. Leotards with attached ballet skirts are not acceptable. We provide tutus for our dancers. Hair must be secured neatly in a ballet bun, or pinned off the neck with a hair barrette. Ballet slippers must have elastic sewn over the instep. Black jazz pants or capri pants, black leotard, or solid black fitted top. Tan slip on jazz oxfords or tan closed toe turners for jazz and black jazz sneakers for hip hop. Upper levels of jazz may require both tan and black shoes for Spring Concert - ask in the office for details. Hair must be pulled up completely off the dancer's face and neck. Black jazz pants or capri pants, black leotard, or solid black fitted top. Tan tap shoes. No ribbons or bows on tap shoes. Upper level classes need to ask in the office for details concerning shoe color. Hair must be pulled up completely off of the dancer's face and neck. Solid white or black t-shirt, black tights, black jazz pants or black sweatpants with dancers belt; black ballet, jazz or tap shoes. Costumes and street clothes are not acceptable for class.